Dr. West, I was wondering about your advice on a yoga journal, or yoga book. 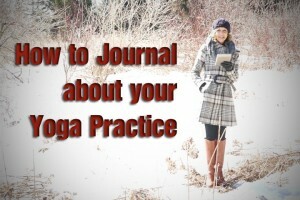 I want to incorporate knowledge of yoga into my daily practice, and also maybe some way to journal my process. If you could think of anything, that would be wonderful. I love your classes, and try a new one every week. They have helped change my life into a more calm journey. Thank you so much. At the end of class, often times I will do an integration where I ask you what stands out, what seems most important. I will also ask you to make a connection to your day to day life and then I will ask you how you are going to take your practice off your mat and into your life. These could be great things to journal about your process. Also if any insights or awarenesses come up during your practice you could jot them down during the class. Just press pause and take some time out for journaling. I would highly recommend Kerry’s weekly challenges and Linda Herzog’s Flowing with the Phases of the Moon on our membership site They both suggest yoga classes for practice each week with reflective journal questions to boot! Next post: What made the biggest difference?